Too often, finance teams regard the practice of bleisure much the way I regard the word itself: as an awkward, uncomfortable mashup. But it doesn’t have to be. It should be perfectly acceptable for employees to add a few personal days onto the beginning or end of a business trip, as long as both the traveler and the business are clear on the policies governing it. To that end, it’s important for finance teams to craft travel policies that account for the reality—some would say inevitability—of business and leisure travel merging together. Here’s how you can get started. Why should finance create a bleisure policy? “Bleisure” is a recently-coined term for something traveling employees have always done, and according to most reports, are doing increasingly often. According to Expedia.com, 43% of business trips turn into bleisure trips. Travel website Skift reports that 72% of business travelers have added leisure days to business trips in the past—almost half with a significant other—and 78% of travelers say that doing so makes the business component of the trip more rewarding. Companies, for their part, have good reason to embrace bleisure. In today’s arms race to provide perks, a policy that explicitly permits bleisure is a nearly-free way to communicate that your company values employees’ work-life balance. Your company has to pay for round-trip transportation regardless, so for the price of slightly more expensive weekend airfare, you get to officially underwrite an employee’s ability to decompress. Having a bleisure policy also lowers the risk and expense of sending employees on business travel in general. Studies show that employees plan bleisure trips regardless of whether their company explicitly permits it, and often submit leisure-adjacent expenses when they do. That means that if you don’t communicate a policy, it might be your expense reimbursements covering their leisurely cab rides and your duty of care (read: insurance liability) hanging over their leisurely explorations. The solution is to embrace bleisure in a formal way; to clarify what does and does not fall under the auspices of business travel. Then your employees will be able to enjoy themselves responsibly. Once you’ve decided to lay out a clear bleisure travel policy, it’s time to start crafting the specifics. Here are eight questions that will inform the controls you choose to put in place. Do you want to encourage bleisure travel? Or do you simply want to put guardrails around employees’ leisure plans? Incentivizing carries a lot of interesting possibilities. You could offer personal-day per diems to reward departments for staying within budget targets, permit trip extensions only for corporate card holders who are punctual with expense submission, and so on. Who is eligible? In most cases, you’ll create a policy that applies to every employee traveling for business. But see above for how you could use this policy in creative ways. Some companies repay frequent travelers by covering their significant other’s airfare once a year. What does your company need to know about? Should you request an approximate manifest if they’re traveling abroad? Will you be more comfortable knowing who else will be sharing the expensed hotel room? You could request something detailed, like an itinerary, or brief, à la the business description provided with deductible expenses. Does bleisure impact other aspects of your travel & expense policy? You probably don’t want to pay for a week of car rental if the conference is only three of those days. Nor are you keen to pay for a larger hotel room so the employee’s family can join them. Address these contingencies clearly. Who is paying for what? Be sure to clarify what the company and employee each pay for. Maybe you require the return flight to originate from the same city they landed in. Maybe employees are allowed to use the corporate booking tool to fly their partner out with them, if they reimburse the company for it. How will managers approve? In your existing T&E approval workflow, there’s probably a stage where managers sign off on their direct reports’ expenses before sending them to the finance team. Will you require managers to similarly sign off on an employee’s bleisure request? What if a client is paying? 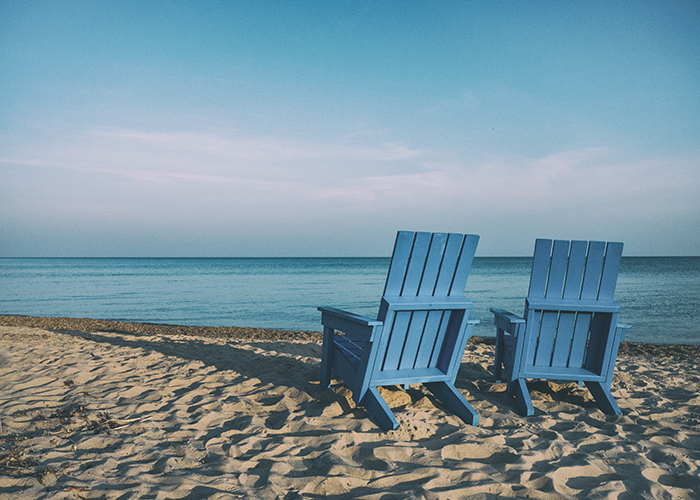 If you’re billing back the cost of a business trip, you might feel differently about an employee’s request to turn it into a vacation. What happens, for example, if the traveler casually mentions that they’re in town for a week? Will the client understand that it’s off time—and that they’re not paying for it? There shouldn’t be a problem as long as you have an automated way to prevent vacation expenses from incurring as billable… if you let them into the system at all. Ultimately, everything in your bleisure policy exists to ensure a clear understanding between employees and the company. Hopefully you trust your employees enough to not micromanage their trip; all you need is to set the expectation of what you’ll cover and what they shouldn’t expense. Bleisure may be a horrible word, but it is a sensible, healthy practice that companies shouldn’t be timid to endorse. Employees will come back to the office more refreshed, more productive, and appreciative that they work somewhere that smiles upon them taking time off.